Droopy eyelids can present at any age, making the person look older than they are. Fortunately, blepharoplasty can correct this problem. Lucia S. Olarte, MD offers blepharoplasty to patients throughout Century City and Beverly Hills, Los Angeles, California. Patients interested in this procedure can contact the office for a consultation. Blepharoplasty is a surgery designed to improve the appearance of droopy or sagging eyelids. During the procedure, Dr. Olarte may remove or reposition excess skin, muscle, and fat from the eyelid to improve its appearance. What causes eyelids to sag? As a person ages, the muscles and connective tissues supporting the eyelids and surrounding oribital fat grow weaker. This allows excess fat to protrude around the eyeball and for the eyelid skin to droop. When the eyelids and the fat starts to be visible, the person starts to look older. The sagging skin may also block part of the person’s field of vision. Blepharoplasty can correct all of these issues. Blepharoplasty eliminates excess skin and fat near the eye, which restores normal vision and makes the patient look younger. Blepharoplasty also eliminates puffiness and bags under the eyes that make the patient look worn and tired. Blepharoplasty is typically performed in the office or at a surgical center under local or general anesthesia. Most patients are able to return home on the same day. Blepharoplasty may be appropriate for patients who have baggy, droopy eyelids, excess skin on the upper eyelid that interferes with peripheral vision, and/or bags under the eyes. Dr. Olarte can help patients determine whether blepharoplasty is the right choice for them. 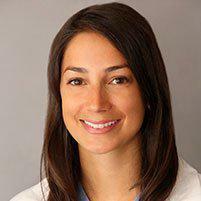 Dr. Olarte is an experienced surgeon, and the risk of complications with this procedure are low. However, in rare cases, patients may experience skin discoloration, infection, bleeding, and irritation. As with any surgical procedure, patients may also experience risks related to the anesthesia. Dr. Olarte often performs surgery on both upper and lower eyelids during the same procedure. Most patients enjoy a more youthful appearance following blepharoplasty. Depending on the extent of the sagging prior to surgery, patients may also enjoy better vision. For some patients, the results of blepharoplasty will be permanent. For others, sagging of the eyelids will return over time as the aging process continues.